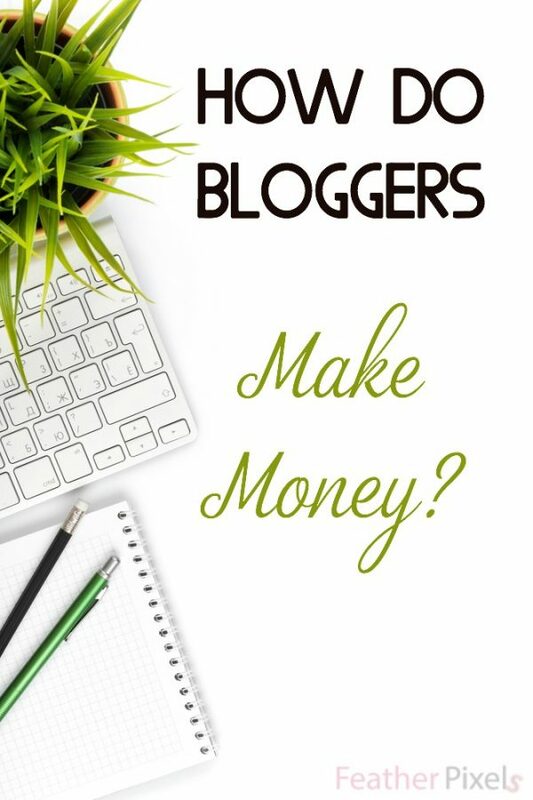 How do bloggers make money is usually the first question that someone asks when I tell them what I do for a living. Blogging has changed so much throughout the years. A blog is an online weblog that was once used solely as a personal diary of sorts. I had no idea what a blog was until I accidentally created one. This post contains affiliate links, but I only suggest products and services that I use and believe in. Over the years, I have learned so much and still continue to learn every single day. I will never claim to know it all, but I feel like I can confidently answer the question of how do bloggers make money since I have been doing so myself. Once you earn some clout as an online influencer, the possibilities to make money online are quite vast. There are surely more than I list here, but here are the basics of how a blogger can make an income. Sponsored Posts – Companies pay bloggers to create content that include their product or service. It’s not a product review, but rather a story or problem-solving post about how the blogger has used the product in their life. Affiliate Marketing – Affiliate links can be worked into almost any type of post. Most companies out there have an affiliate program. What’s an affiliate link? A special tracked link that the blogger can use in their posts. If a person clicks on their link and purchases a product, the blogger will get a tiny commission on that purchase. It doesn’t interfere with or change the buyer’s transaction at all. Bloggers with narrower niches seem to do better with affiliate marketing than general lifestyle blogs in my experience. Some bloggers are killing it with affiliate marketing. I am learning a ton from this course here. Coaching – Coaching can be anything from teaching to just giving that extra go get ’em that another blogger might need to take them to the next level. Once you feel confident enough to help others in an area, you can charge for coaching. My favorite example of an awesome coach is Brandi Riley. Not only does she know her shiz, but she’s an excellent cheerleader. One phone call from her is guaranteed to light a fire to ignite your creativity. Courses and eBooks – Every blogger is capable of writing an eBook. Even if it’s a roundup of your best ten or so posts, an eBook is doable. Will it sell? Maybe not for much, but you would have an eBook, and essentially a product to sell. Experts in their field can create online courses for others to purchase. These are two awesome ways to create passive income. If people can pay for your courses and take them 24/7, you can earn while you are sleeping. Here’s a simple shortcut: Hire someone from Fiverr to whip up an eBook for you using your blog content. Boom. You’ve got yourself an eBook to give as a freebie to subscribers and/or sell. Freelance Writing – Established bloggers can be paid to write for other sites, as well. Ghost writing, guest posting, or content creation is all needed by brands and even other bloggers. Ads – There are a lot of different ads that pay different ways. I won’t go into all the terms right now, but you can get paid per click, paid per view, or paid for action. Depending on your blog niche and traffic volume, you will get to know which ad networks work best for you. Some of the bigger ad networks have minimum traffic requirements. Easy ones to start with are Google Adsense and the new, Amazon CPM ads. Speaking – Speaking at a conference or event can be very rewarding even if it’s not a paid gig. Some people get paid for speaking, but sometimes it’s just to get your name out there. I haven’t attempted this yet since I am an anxiety-ridden socially-awkward mess, but I remember everyone that I have seen speak. I remember their names and their blogs. That’s valuable. Event Coverage – The line between traditional press and bloggers is becoming very blurry. Bloggers are often invited to many press events. Getting paid to attend is becoming more common. Blogger Outreach – Blogging is a community, and once you have your tribe, you can refer each other to brands. Brands love this and can hire you to run campaigns for them. You choose the bloggers, pay them, and pretty much run the show. There are risks and extra stress that comes along with this, but it can be quite profitable. Social Parties – I am getting a little off topic here since I was focusing on blogging, not other social platforms. But, the two do go together. Twitter parties, Facebook chats, Pinterest parties, and even Google Plus Hangouts can become paid gigs. That’s just 10 of the many ways that bloggers make money. I find that I have a lot more to say about this, so more posts to come. Hopefully, this helps you a little or, at least, answers the how do bloggers make money question a bit.